It doesn’t end there. I actually considered just downloading the entire suit for myself and you can do so if you want right here, just search for Sarah Deming, but I’ll let a trio of screen captures from WDIV Detroit’s segment which first brought the story to light. The reason I didn’t bring this up before is because I don’t think there is much to say. Yes, it is frivolous. What more can you say? We all complain about trailers and I even mention almost daily how I don’t even watch them because they tend to either be misleading or spoil films. 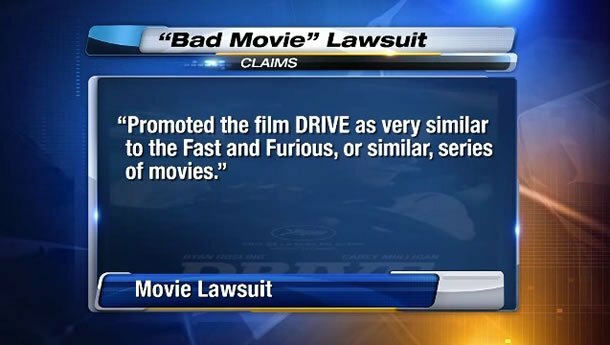 In the case of Drive, if anything, Deming should be upset FilmDistrict spoiled the entire film with the trailers, not that they were misleading. In fact, they were incredibly leading in that no stone was left unturned. 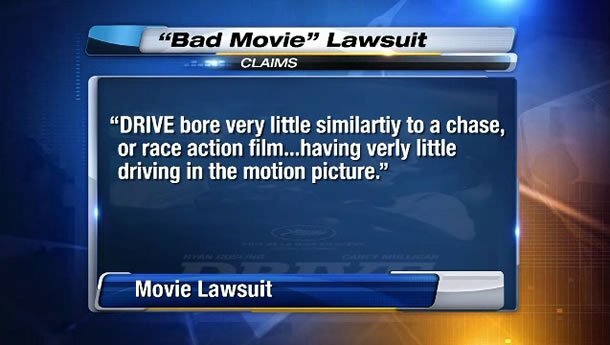 If you have something to add feel free to add a comment below, but that last screen capture gets my blood boiling to the point I just don’t even want to say too much, especially considering she’s complaining about racial stereotypes at the same time wishing the film had been more like Fast and the Furious. Ugh.